How To Buy The Right Rug For Your Kitchen - Planned Property Management, Inc.
Do rugs belong in the kitchen? Ask around, and you’ll soon realize it’s a divisive question. It seems people have some strong feelings about whether or not rugs should be on kitchen floors. 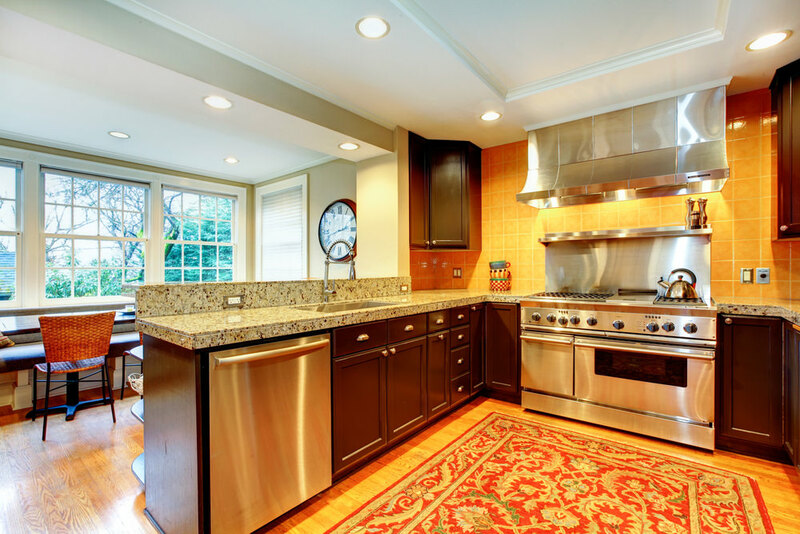 Our take on the matter is that a rug can be a great choice for a kitchen, but it has to be executed properly. Before purchasing a rug for your kitchen, consider the following things so that you buy the right one. 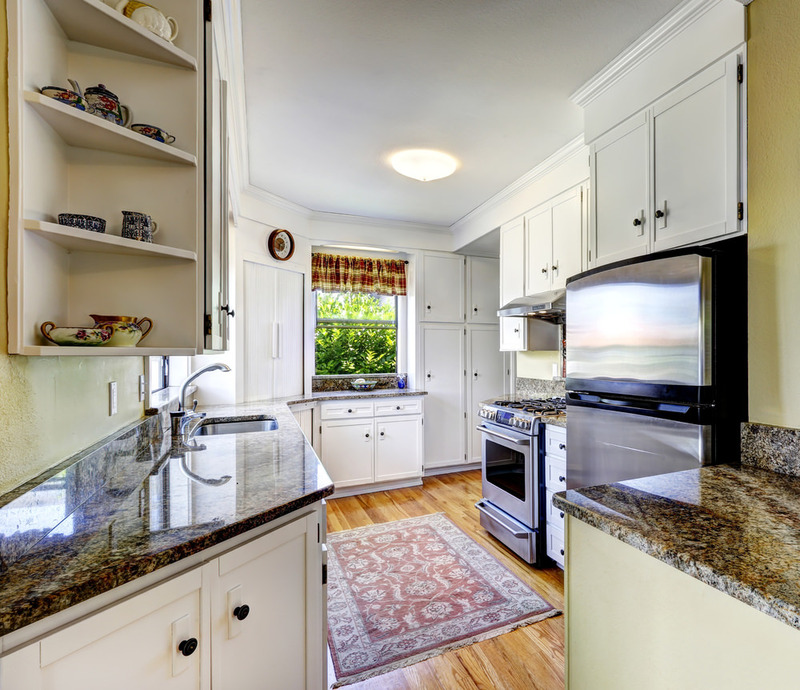 The average kitchen gets a lot of foot traffic on a daily basis. In order for a rug with withstand the wear and tear it will inevitably endure, it needs to be somewhat high quality. A flimsy piece of fabric just won’t do. You don’t have to spend a fortune, just be sure the material is thick enough that it’s durable. We recommend buying an “indoor/outdoor” rug (made from polypropylene) because they won’t absorb food and drinks spills. Another good option is to choose something with natural fibers, as they tend to be sturdy and also easy to spot-treat. 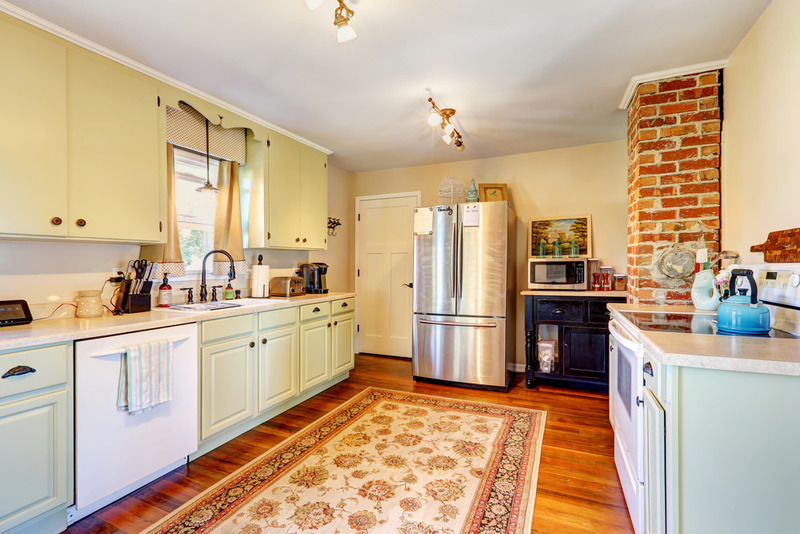 In order for a rug to work in your kitchen, you need to make sure it’s the right size. A rug that’s too large may “take over” the space by getting in your way. On the other hand, a rug that’s too small won’t serve much of a purpose (it will basically just be a kitchen mat). Instead, evaluate the size of your kitchen and decide on a rug that fits well with the space you have before making any purchasing decisions. 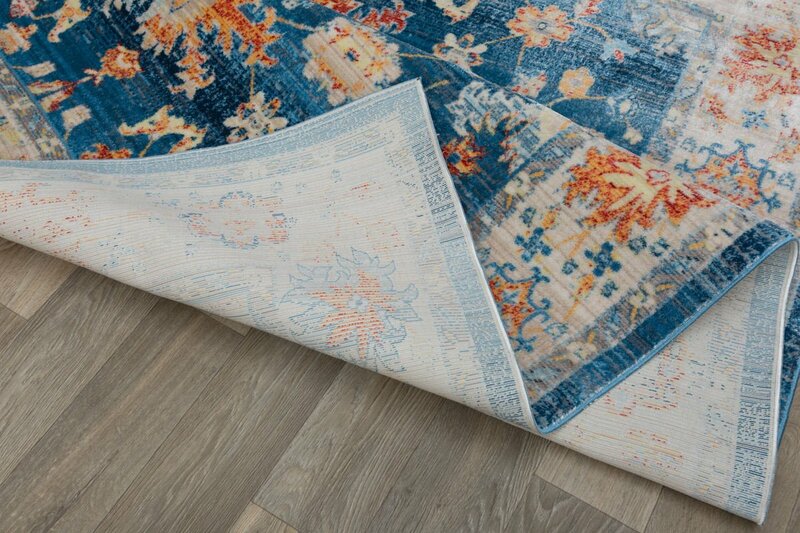 Another reason to consider the size of the rug is that the cleaning requirements will vary greatly depending on if your rug is large or small. If you’re the kind of person who wants to be able to throw your rug in the washer, don’t get a large one. Let’s be honest—part of why we love the look of a rug in a kitchen is simply that it looks good. And there’s no harm in that! Just don’t rush to buy the first rug you see. With so many options, it’s worth it to wait and find the right rug that works with your kitchen decor. If your kitchen is full of neutral hues (as many are), consider a bold colored rug as a fun pop of color to your decor.